At Algrim-Fisher Chiropractic Office, our Racine chiropractors believe that chiropractic care is all about restoring motion to your spine and removing interference that can lead to pain and dysfunction in your body. Through providing patients specific adjustments focused to their bodies, we’re able to restore balance to your nervous system naturally and without the need for drugs or surgery. Many of our patients have found that after undergoing care, they have decreased pain, a heightened activity level, improved movements and a general sense of ease and comfort. No matter what you’re seeking care for, chances are we can help you. In fact, chiropractic care is safe enough for the entire family—from your littlest member to your grandparents and everyone in between. 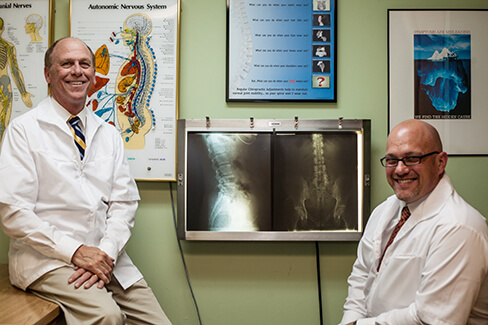 Care with our doctors is always gentle and informative—we want you to understand how it impacts your spine so you can make healthy choices going forward! We often encourage patients to ask us any questions you have along the way—especially if you’re nervous. We’re happy to explain each visit in depth to put your mind at ease. Ready to learn more about how chiropractic care can help you live your best life? Contact our practice today to get started. We’re happy to be in network with most major insurance plans. Get your health back on track today!